Is your desk messy and cluttered? Having trouble focusing? They could be related. Clean up your desk for improved productivity. 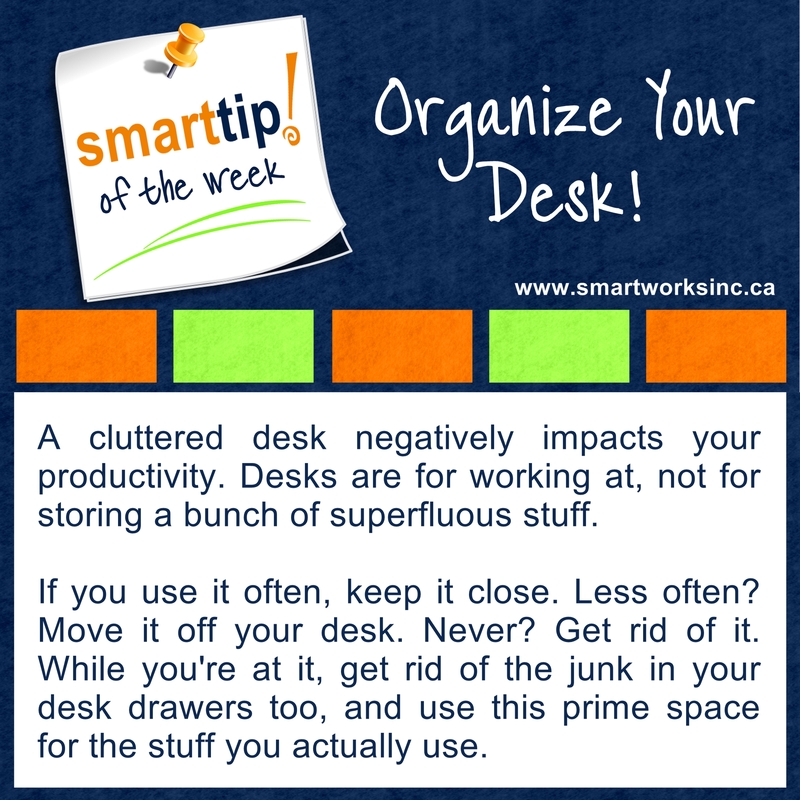 Check out this Smart Tip of The Week!